1) Reflect on your holiday traditions and your child’s sensory and behavioral profile. Try to imagine how your child will interact with these traditions. 2) Prepare for the family environment. Will you be at grandma’s house? Will be attending religious services? Consider preparing a space for your child to decompress if they become overwhelmed by the sensory stimulation. 3) Let your teen know ahead of time when it would be appropriate to leave after a special meal or visit with relatives. This is a great trade off for a conversational and present teen. 4) Recharge. Even if your hectic holiday schedule only allows you to spend a few minutes on yourself, take that time to go someplace quiet to recharge your batteries. Extra! Extra! Read all about it! – 2015 NATSAP Spring Newsletter! We are pleased to send you NATSAP’s 2015 Spring Newsletter. Be sure to read it cover to cover to find out all of the exciting things going on with NATSAP this Spring, Summer, and Beyond! Please feel free to distribute it to your colleagues and friends. RedCliff Ascent recently celebrated its 21st anniversary. During this time, more than 4500 young people and their families have experienced the RedCliff difference. Twenty-one years is a long time…what sets us apart from other wilderness programs? Clinically, our proven, multidisciplinary approach to treatment embraces the challenges of the wilderness at a developmentally appropriate level for each individual client. We go beyond simply assessing a client’s current level of functioning; our clinicians help young people engage in the therapeutic process by building upon personal strengths and providing opportunities for deep introspection. Our highly trained guides are an integral part of this process. 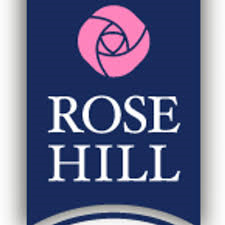 They have a vested interest in the relationship with each child and provide for their physical, mental and emotional well being. Clients leave RedCliff with greater resiliency and a keen sense of self. And we can prove it. For over a decade, RedCliff Ascent has been leading the industry in collecting data for research and outcome analysis. Programmatic changes are based upon empirical data, not just what is popular or trendy. As one of the most experienced wilderness treatment programs in the industry, RedCliff Ascent continues to set the standard for clinical sophistication and excellence in client care. Ashcreek Ranch Academy has designed our residential treatment center for effective therapeutic intervention for young men. Our program is thoughtfully and purposely designed with teen boys in mind. From our approach in therapy, to the classroom, to the daily schedule everything we do is designed and structured to meet the emotional and behavioral needs of young men. At Ashcreek Ranch Academy we have a highly advanced and unique Horsemanship program which is the primary platform for all other aspects of the program. Students learn to build relationships, set appropriate boundaries and to learn important lessons about themselves while training and working with young Thoroughbred and Quarter Horses. 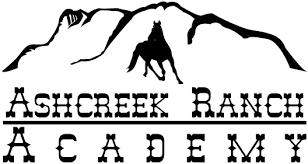 Ashcreek Ranch Academy incorporates a challenging academic program focused on maximizing a student’s potential, and a comprehensive horsemanship program designed to encourage hard work, to build self-esteem and self-improvement by working daily with the horses and animals at the ranch. Ashcreek Ranch Academy also has a challenging sports, physical fitness and adventure program. Ashcreek Ranch Academy has been approved to participate in the Utah High School Athletic Association and we currently offer Cross-Country, Wrestling, Golf and Track. We also have a competitive mountain biking program that utilizes the many scenic and challenging trails here in Southern Utah. Ashcreek Ranch Academy offers many activities and facilities for students to enjoy in their free time which include: game room, theater room, weight room, reptile house, music production area, art room, music lessons, kayaking, paddle boarding, swimming, fishing and a two and half acre lake. The weather in Southern Utah is ideal to be outside year around. Weekly community service allows the students to build character through serving and helping others. The small personalized community allows students to receive the individualized attention needed to turn their life around. Are you interested in participating as a conference sponsor or exhibitor for the 2015 Rocky Mountain Regional Conference? 10:00 AM – 4:00 PM Program Tours – Schedule will be available shortly. Staff name, program and job title. A short description of qualities that make this an outstanding staff. Each recipient will receive a gift from NATSAP for their talent and dedication to the students and families we serve. Thank you for taking this opportunity to recognize your staff that are doing exceptional work! The deadline is March 20, 2015. NATSAP has reserved a block of discounted rooms at the Hilton Garden Inn Kalispell for your convenience during the conference. The Hilton Garden Inn Kalispell is pleased to offer NATSAP conference attendees the guestroom rate of $92.00. We look forward to seeing you next month in Kalispell. Today, in support of her Joining Forces initiative, the First Lady spoke at the launch of The Campaign to Change Direction , a nation-wide effort to raise awareness around mental health in America. Spearheaded by Give an Hour and co-sponsored by the Substance Abuse and Mental Health Services Administration (SAMHSA), the campaign is designed to change the story of mental health across the nation by urging all Americans to learn the five signs that someone might be in distress. While there has been much media attention on mental health in the military and veteran community, it is incredibly important to understand that mental health isn’t just a military issue — it is a human issue. Mental health conditions impact our children, our grandparents, and our neighbors. Every year, roughly one in five adults — or more than 40 million Americans — experience a diagnosable mental health condition like depression or anxiety. It’s up to all of us to change the conversation by encouraging everyone to reach out when a friend, co-worker, veteran, or loved one might be struggling, and to ask for help when we need it for ourselves. It’s time to tell everyone who’s dealing with a mental health issue that they’re not alone, and that getting support and treatment isn’t a sign of weakness, it’s a sign of strength. That’s something that my husband believes strongly as President. Because in this country, when you’re fighting an illness — whether that’s mental or physical — you should be able to get the help you need, end of story.